Cera has been a prolific writer since she was a young child and prides herself for being the only kid crazy enough to attempt writing ‘an epic wartime romance’ during her primary school creative writing class. She still writes epic romances, but now she’s able to do so on a far more epic scale, having just completed her first novel Blink!, a YA time-travel romance that she and her agent are on the cusp of publishing. With ten years of screenwriting experience under her belt, Cera has written many scripts for film, television and theatre. Recent commissions include The Amazing Ava for Mobley Street Productions, comedy series Listen To Bapou for online animation channel Banter Hawk, and she recently produced her short, Daddy’s Fort for Create 50 The Impact – a collaborative film making initiative run by The London Screenwriters’ Festival. Last year, Cera enjoyed getting back to her theatrical roots by directing and producing a stage adaptation of her feature film Destination: Hollywood. Her stage play Those Kids Who Killed Ms. Hannigan also won The 2018 Herts & Essex Playwriting Festival. 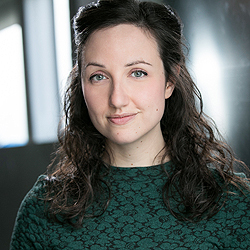 When Cera isn’t writing, she can be found performing on stage and screen, appearing in films and TV shows such as Downton Abbey, Endeavour, Grantchester, Holby City and EastEnders. This will be Cera’s seventh time at LSF and she is proud to be a festival veteran! Agents: Christina Pickworth at Imagine Talent (screenwriting) and Silvia Molteni at Peters Fraser + Dunlop (books). My brain is full, my mind is blown, can’t wait to put everything I’ve learned into practice.